I love this time of year, waking up in the early morning, nose cold, but body warm under the covers. 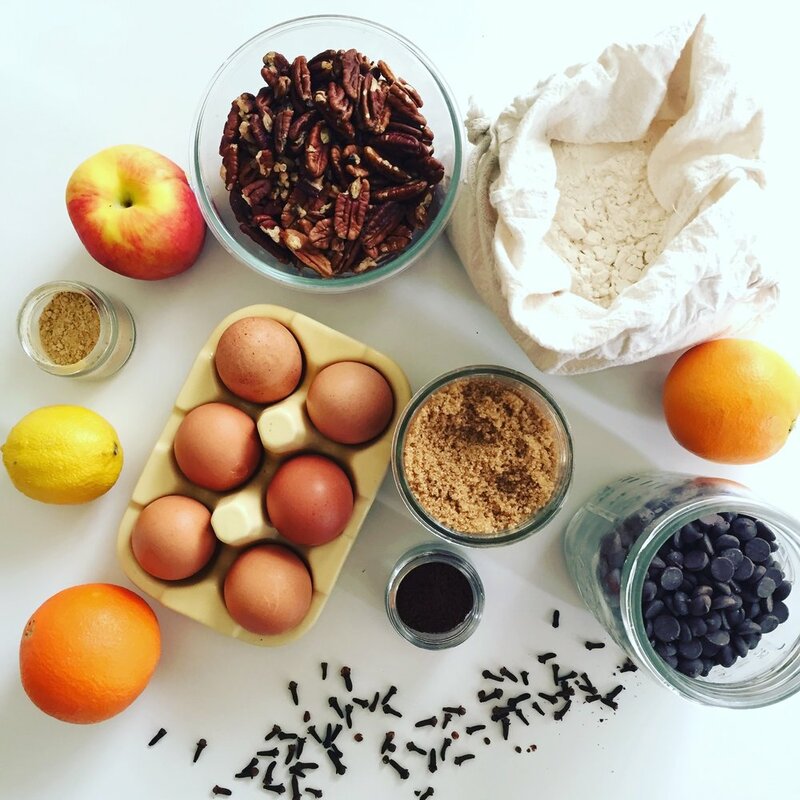 After I launched Kind Planet in November 2015, one of my first posts was a "Zero-Waste Holiday Guide." I no longer use the term zero waste, but nevertheless it still represents some gift ideas that cultivate tradition, creativity, and experiences that aren't trash producing. This year I want to share with you the "Circular" gifts that I've created and intentionally chosen. American households produce 25% more waste from Thanksgiving through New Years, so let's be conscious about reducing waste this holiday year. We can do this by reducing food waste at holiday parties (composting if possible), providing real eating ware instead of single-use paper/plastic ware at parties, shopping secondhand first, upcycling materials for wrapping presents instead of adding new paper and plastic bobbles/bows into the waste-stream, and opting for living Christmas trees or going without one altogether. Before living a Circular Lifestyle, I felt obligated to buy things for Christmas, especially things that my friends and family didn't need. I now find it just as special to opt for quality experiences over gifts; however, it is really fun to make things that I know people will actually use and enjoy. Circular Living has taught me to gift with intention and in a holistic manner, which takes into account the life cycle of the gift from design, to creation, to use, to re-use, and recovery. Donate: Give the gift of food stability, safety, and education by donating to Longonot Education Initiative. Experiences: This is my favorite one, as creating memories with the people I love is the most valuable gift. 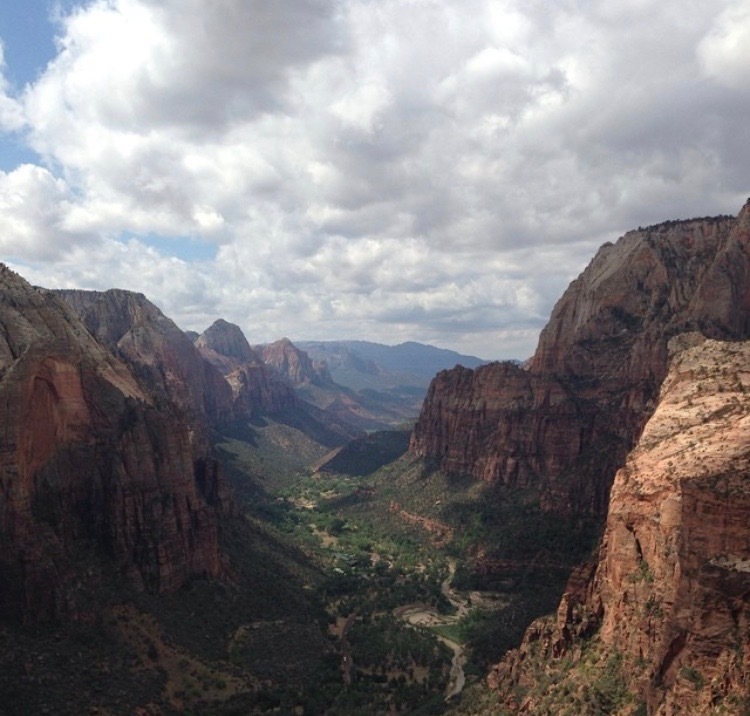 Pack a lunch and take your family/someone on an hike. I'll be hanging out with my Dad and brothers skateboarding in Yosemite National Park on the icy paths. Crazy wipeout fun! 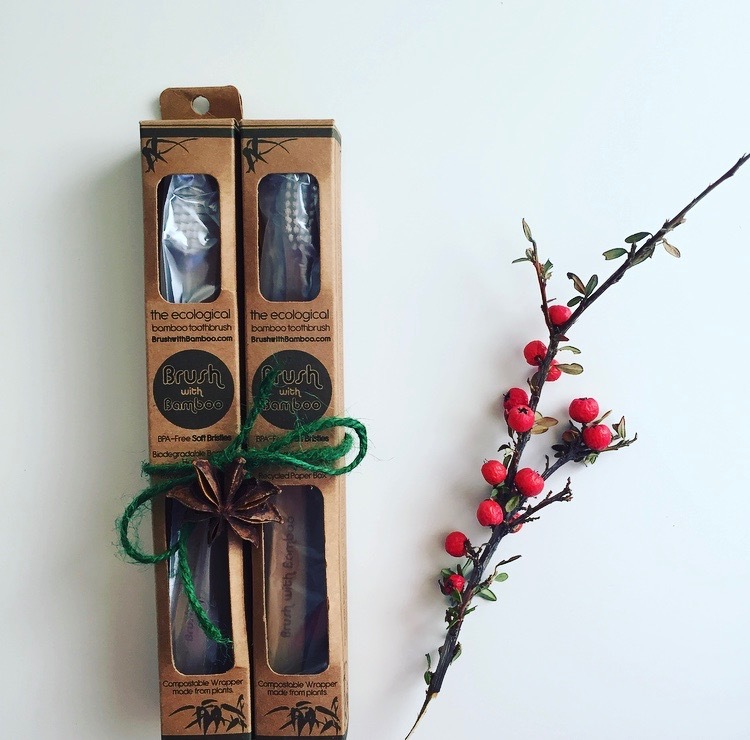 Bamboo Toothbrush: Help reduce plastic pollution by giving the gift of a Brush With Bamboo toothbrush. Green Clay Mask: Purify and restore your skin this holiday season with a gentle green face mask, rich in antioxidants from high quality powered green tea and detoxifying French green clay. 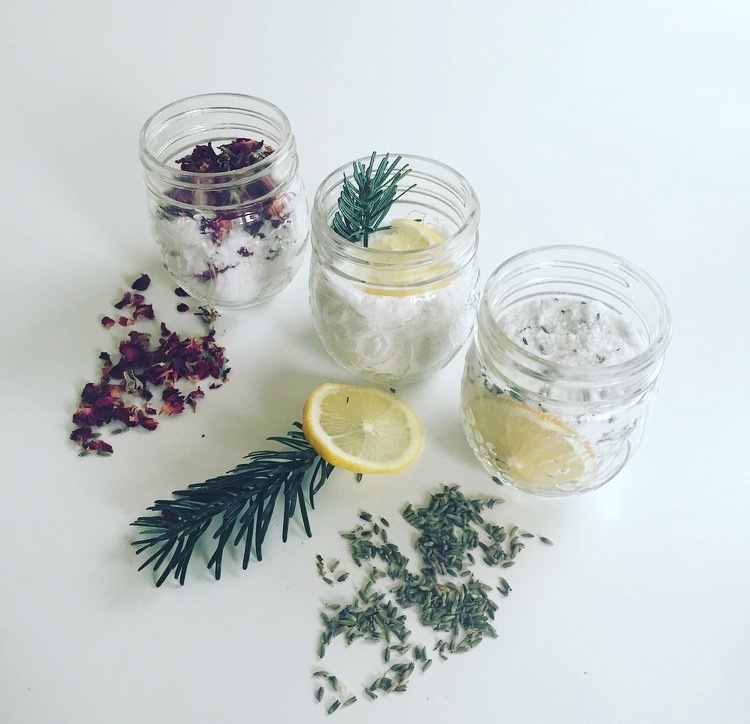 Bath Salts: A simple gift to whip up last minute and add your personal touch with your choice of essential oils. Bake Something: You can make whatever sweet treat you want! I'm making swiss lekerli and lebkuchen, as well as my chocolate chip cookies. Plant a Tree: My Grandma (Nana) had a tree planted in my honor as a Christmas gift. Glass Straw: Help reduce plastic pollution by giving the gift of a Glass Dharma straw. 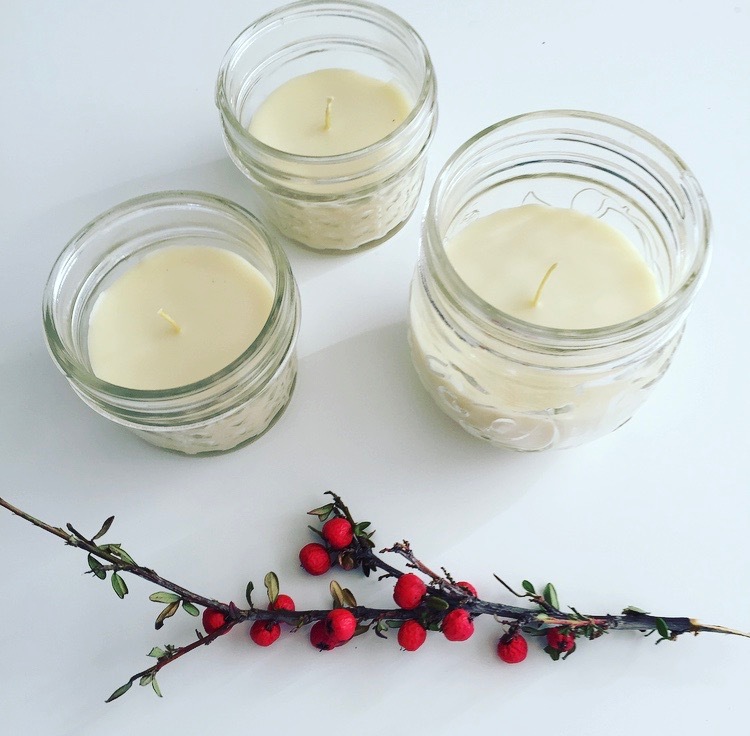 Simple Pour Candles: Give the gift of light by making these simple pour candles. Body Scrub: Treat your skin to a citrus and sugar body scrub that gently exfoliates, leaving your whole body feeling refreshed. Bath Bombs: Add a burst of relaxation to your bath with these bath bombs scented with the essential oil of your choice. Lip Butter: This gift is simple to make and will last a long time. It's the time of year when our lips get chapped, so why not gift this coconut oil or shea butter, beeswax and spearmint essential oil lip balm?